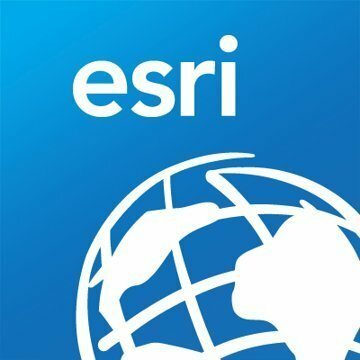 Work for ArcGIS Maps for Power BI? Learning about ArcGIS Maps for Power BI? "Powerful Map Visualizations for Power BI"
I like the fact that the map visualizations 1) rely on zip code / location data to populate more accurately than Power BI's own mapping service, 2) have more variations (e.g. highlight states, create bubbles for cities based on sample size / population size, and 3) provide more control for customizing (e.g. bubble size and color can be customized to make the visualization look the way you want it to). The one very annoying feature is that map visualizations made via ArcGIS generally zoom out once you leave the Power BI tab in which you created them. This means that you have to zoom back in every single time you revisit the tab. For example, I created multiple map visualizations showing customer concentrations by metro in the US; however, the tabs in which I created them zoom out to show the entire world, which means that I have to zoom back in to the US every time I visit each tab. Please fix this! If you are on the Microsoft Stack, definitely consider using ArcGIS over Microsoft's own mapping visualization tools. ArcGIS is more accurate, more customizable, and more versatile than Microsoft's tools. I was trying to map out our customer base by multiple attributes in a concise, yet meaningful way for managers. ArcGIS, via its zip-code / coordinate-based capabilities for plotting data, was incredibly helpful in 1) visualizing our data in a concise, meaningful way and 2) pointing out insights about the data which we had bene unable to notice before (since we had never looked at our customer base via a map. "If you want to use maps in PBI, you use this"
ESRI maps are really good. With a update of PBI a few months ago it has also gotten much faster at rendering. The visualization looks very good and it is simple to set up several layers of drilling. It's not often that we have a need to use maps in our data, but when we do, this makes it easy. Custumers really like maps and often look for a way to include them, even if they aren't the best at telling a specific story. Fortunately development time is not long, making it easy to assess effectiveness. I have noticed that you must be careful as to how you design the data. This is true with most BI visuals but especially with maps because of the amount of rendering of layers they do. At times I have experienced some long load times. Our current data set is well summarized and we have removed unneeded data making load times almost immediate. We were able to map our tier 1 contacted facilities and tier 2. We also mapped non contracted locations to determine market saturation. We can look at various counts by state, county, city, zip, and exact location. It is a quick tool to see where members are most heavily concentrated for services and it is integrated with our BI solution. "Great integration of BI with GIS"
Improved ability to use different base maps would be great and there could be better support for more complex geometry types. It's added additional context to some of the business intelligence analysis taking data from the charts and tabular format and visualizing it on the map has made for better analysis and better decisions. "Use ArcGIS for detailed mapping and demographic data visualization"
Whenever using a location filter in your data, this tool adds a lot of value by displaying the data points over the demographic visual. Very accurate results and effective data analysis. Try it for free by adding this from the list available custom visuals provided you have a pro power BI subscription.It really does adds starts to your data. Displaying the data points with respect to the location has now been an easy to do tasks which adds value to the dashboard and reports. Seamless integration and ability to perform spatial analysis on the fly. The ability to query and understand spatial data for non-spatial thinkers. "ArcGIS Maps is rich, simple to use and makes your data pop"
It has the ability to make multiple layers, such as a reference layer for demographic data--and if you were in sales this would be invaluable. Some of the color schemes leave a bit to be desired and i found myself changing them quite a bit--a lot of pastels and that makes data blend a bit . I could be used to Power BI schemes however. "ArcGIS for Power BI Great tool for broad usage and analysis"
Fast, and simple, it allows you to use, process, and present data high points that tell a story. If you are an experienced ArcMap user, it will be easy to work with. There are some limitations in the amount of data that can be incorporated, and you are limited to the provided base maps. Great for presenting quick, direct information that everyone can understand. Working with a non profit, we have analysed both where the members come from, as well as where the corporate sponsors are located. We can then co-locate them, and see what program synergies can be created to benefit both sponsors, and members. "Great tool to integrate data into Power BI"
Easy to create a map visualization within power bi. Allows users to document data within a map and show a good visualization of data by location. "key GIS integration into your business analytics"
certain data is simply best viewed on a map - it can clearly show key relationships and make your point for you. The learning curve is a bit more than expected - depends on the skill level of the assigned staff. Be able to draw a box around map points and filter accordingly. Very user friendly and allows user to create their own unique GIS platform to serve own needs. No complaints about ESRI, great program and great company! All in one platform for spacial analytics. * We monitor all ArcGIS Maps for Power BI reviews to prevent fraudulent reviews and keep review quality high. We do not post reviews by company employees or direct competitors. Validated reviews require the user to submit a screenshot of the product containing their user ID, in order to verify a user is an actual user of the product. Hi there! Are you looking to implement a solution like ArcGIS Maps for Power BI?